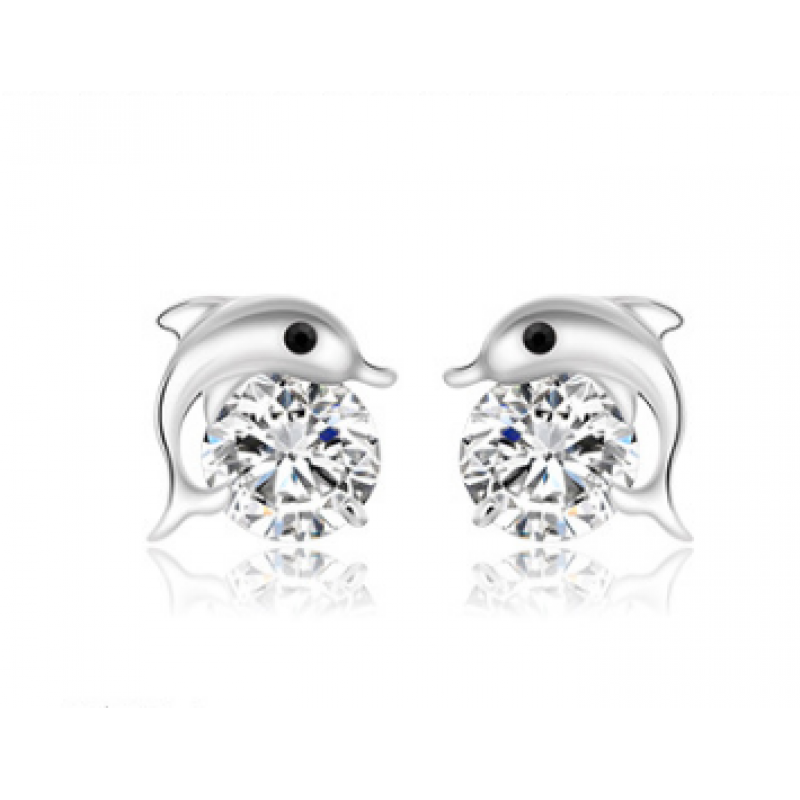 Feminine look dolphins are securing the shining big zircon as this is the Korean style. 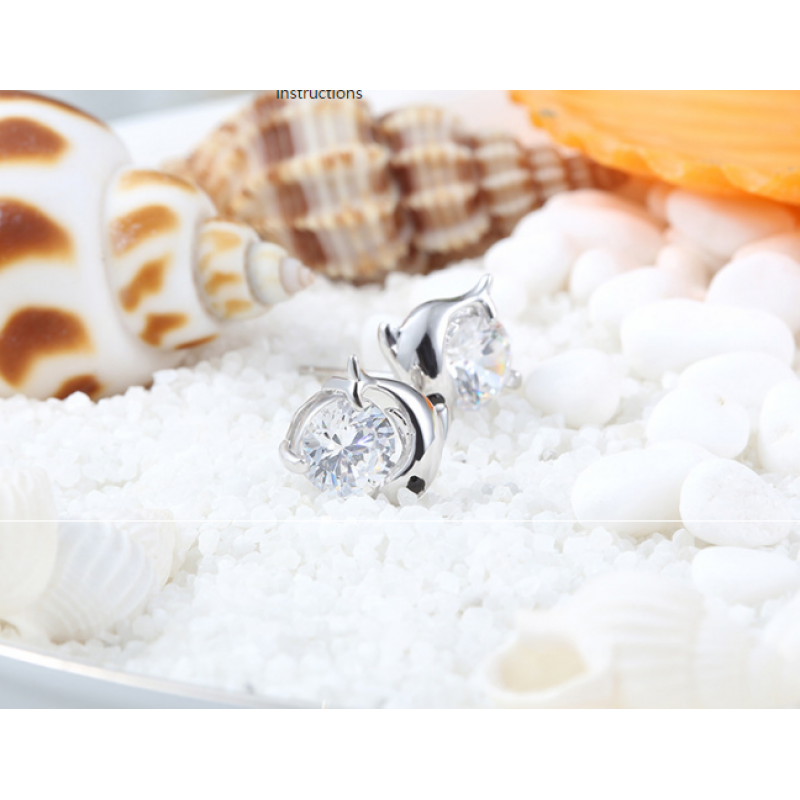 This stylish creation is more valuable than its price. But as our overall business model we are not selling at higher price. Select for yourself or for your friend to gift her. 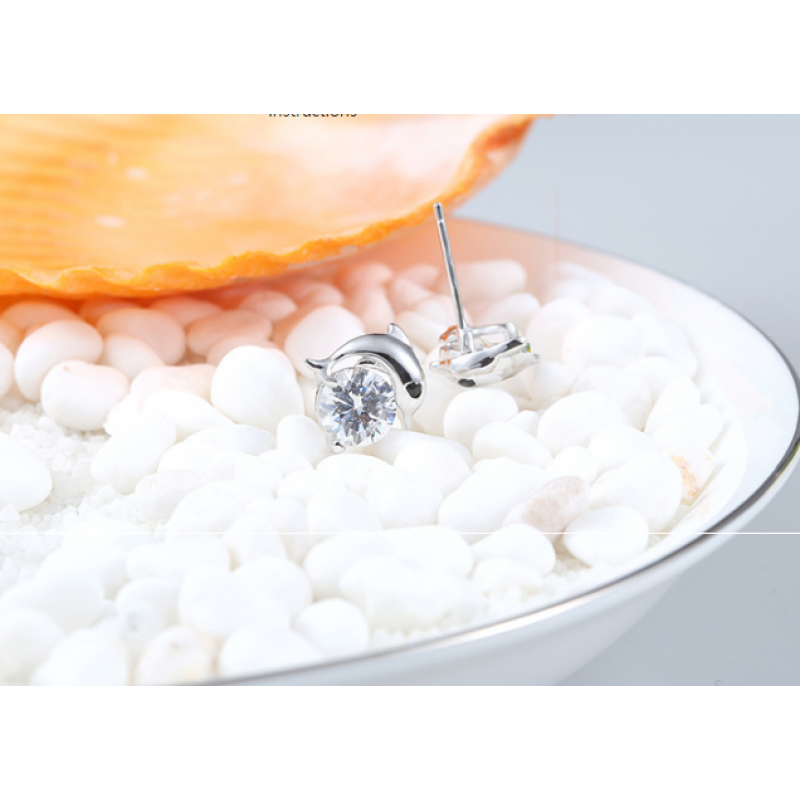 Five SILVER and a GREENISH color tiny pearls are so beautifully fitted in this semi star piece which.. 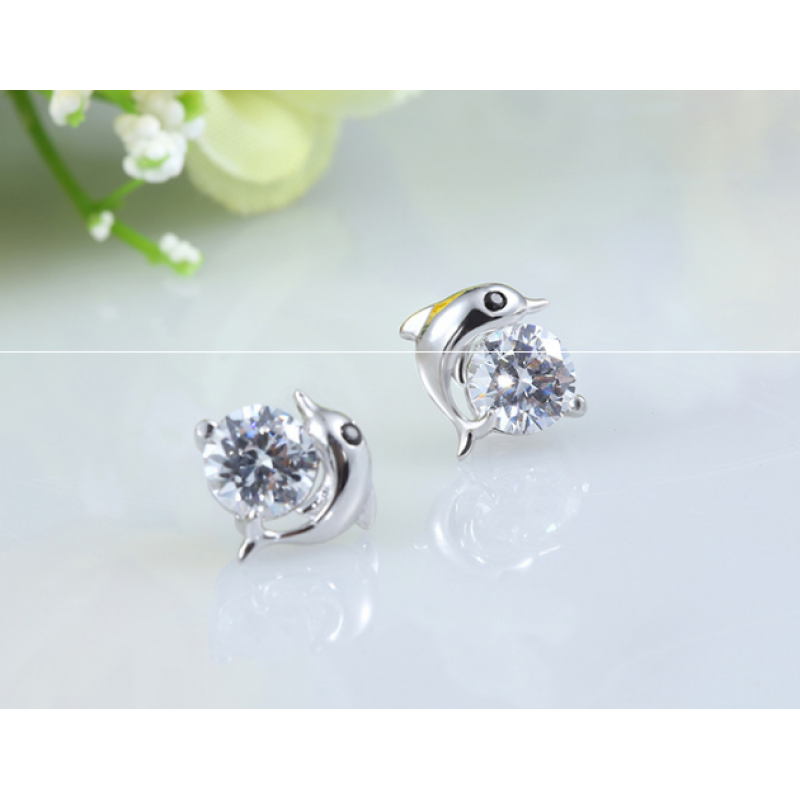 In earring do you like push back lock? Here it is!!! 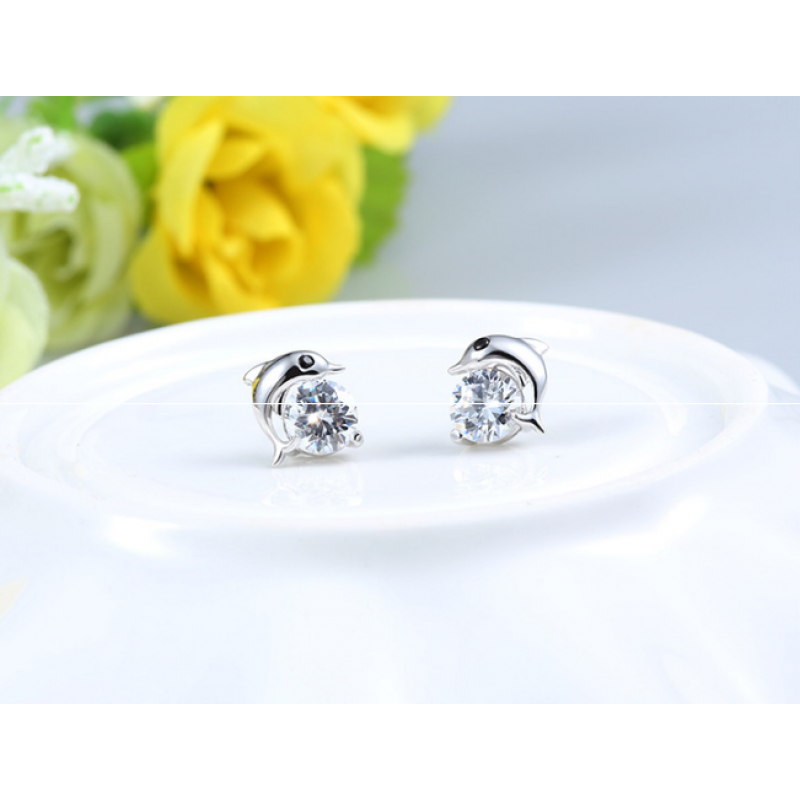 This two SILVER triangles are opposing each oth..
ROSE GOLD color alloy material was used in this stylish cherry blossoms flower Stud Earrings, a beau..